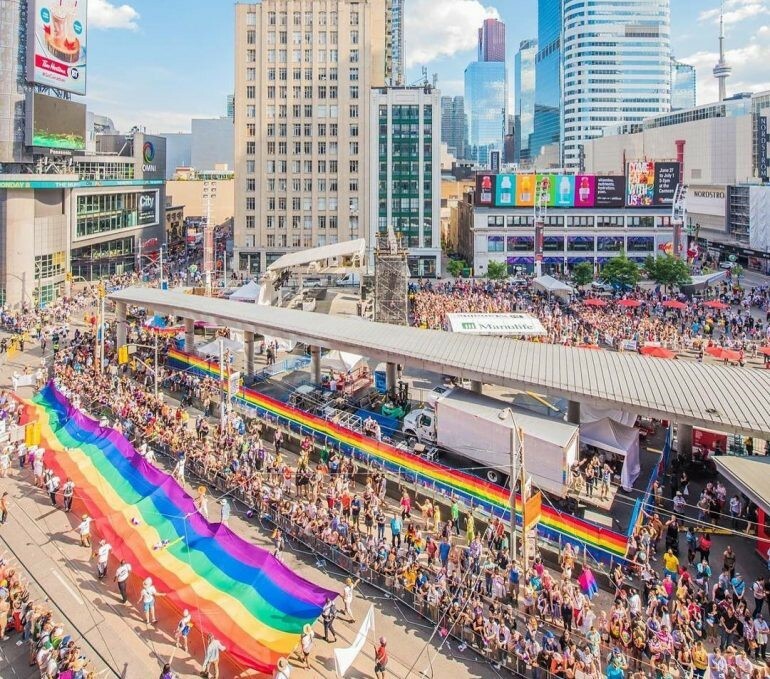 In June of 2017, as we danced down the middle of Yonge Street in our fourth consecutive Toronto Pride Parade, I couldn’t help but reflect back on how it all started. From humble beginnings to a major public celebration of our diversity, we couldn’t have done it alone. It took a village (people!). Our organization joined Pride at Work Canada as a National Partner in 2009, just one year after the organization was formed. It was a strong signal to our Associates that diversity and inclusion matter and that they were going to be a major focus for us. The first order of business was to set up our Employee Resource Group (ERG). Then develop a mandate. Then build and grow. But honestly, in those early days we just didn’t know where to start. A highly functional ERG is critical. It took us a few years to find the right mix of employees and agree on a mandate. Pride at Work Canada is a rich resource in this area. They do work with many organizations at various stages of ERG maturity. Connect with one partner who is at your stage of development and two others who are further along. You’ll instantly have a peer buddy to grow with and a few vets to help you anticipate and overcome some of the growing pains you don’t see coming yet. Check out some of Pride at Work Canada’s great National and Regional Partners and ask for an intro! After five years of work, we felt ready to run a float in the Toronto Pride Parade. And that meant a different kind of work. Pride participation can be expensive and, if you’re in a position where you’ll need to ask your company leaders for money, you’d better be able to demonstrate that you’re going fill the 100 marching spaces. In our case we also reviewed the branding potential of participating and built out a full business case. Pride at Work Canada was there to help connect us with resources at Pride Toronto, who had market research for us to draw from. This model worked so well that we were able to quickly adapt it for other communities where we ended up marching. Whatever your next level growth looks like, check in with Pride at Work Canada and see where they have resources that can help. This one’s super easy! Pride at Work Canada runs a bunch of social and learning events through the year that help connect our community. When you walk into a Pride at Work Canada event you’re walking into a room full of allies and advocates. Take advantage of these opportunities. Sign up, attend, and actively make a new connection or two (or twelve!) while you’re there. Have a look at some of Pride at Work Canada upcoming events and put a hold in your calendar today. See? Super easy! Whether you are currently a member or just starting to drive LGBTQ2+ diversity in your workplace, make sure to review the opportunities available and take full advantage of everything Pride at Work Canada has to offer.